Palm Sugar is ideal for infants and growing children. Here are a few reasons why. Ecobuddy Palm Sugar is nutritionally richest with minerals like Calcium, Iron and is Phosphorous and Vitamins A, B1, B2, B3, B6 and C which are essential for growing children. It is the richest natural sweetener available on earth ! These 23 nutrition are not artificially fortified but received as a gift from mother nature ! Click to see nutrition report of Ecobuddy Palm Sugar. 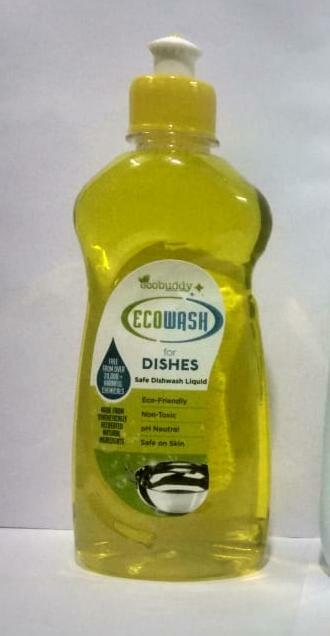 Ecobuddy Palm Sugar is absolutely free from chemicals and bleaches. When white cane sugar is bleached using harmful chemicals like phosphoric acid, formic acid and sulpher-di-oxide, Palm sugar is not bleached in any way. Harmful chemicals are used in Cane jaggery and country Sugar too. Do you know that the yellow color of the Cane jaggery is not natural but attained by applying harmful chemicals used in the dyeing industry ? Find Chemical & Pesticide Free Test Report of Ecobuddy Palm Sugar. It is also free from flocculent or surfactants or viscosity modifiers used in other sweeteners or processed foods. Ecobuddy Palm sugar is organically grown. No chemical fertilizers or pesticides is used in the Palm groves from which Ecobuddy Palm sugar is extracted.The land has been maintained as organic for many generations. Ecobuddy Palm Sugar is Certified Organic! It is free from Preservatives too ! Palm sugar powder is more nutritional than Crystal Palm Sugar (Panangarkandu in Tamil) and hygienic than most of the Palm Gur available in the market. Palm sugars in hard cake or liquid form is susceptible to fungus which makes it dangerous for the kids. It doesn’t just sweeten the dish but adds a unique exotic flavour to it. Since it is instantly dissolvable, its easy for the mothers’ to use it in any drink they may go for. It greatly enhances the taste of plain milk, Soy milk, Coconut milk, Porridge or any health drink. Replacing cane sugar for Palm Sugar in all the sweet recipes or desserts done for the kids greatly enhances the nutrition value of the food served. Children could simply have it as such! It feels like having sheer chocolate! It is good for the baby to get used to a natural taste instead of an artificial or made up taste. Traditionally it is known that Palm Sugar has lots of medicinal qualities. It is widely used in Indian medical sciences like Siddha and Ayurveda. It is known to be effective against cold and lung related ailments. In earlier days it was used as a natural supplement ! It is also known to build immunity ! Palm Sugar has been the natural sweetener in ancient India and in many parts of Asia for many centuries before cane sugar was introduced by the British. Yes, we now understand how our forefathers were healthy and intelligent without any nutritional supplement ! Our ancestors in India were strong to an extent that, to qualify for a marriage they had to lift a stone in every village which weighs more than 100 Kgs ! Because of its rich Iron and Calcium content, Palm Sugar was widely used in health of girl children right from the beginning especially during Puberty and generally in Female Health! In fact Palm sugar was the first food given to a new born child and a new mother traditionally ! 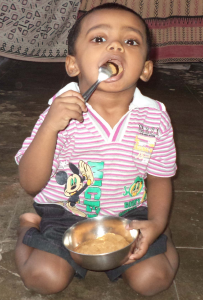 Palm Sugar does not give Sugar Rush in children – the hyper activity because of high sugar level in blood after consuming white sugar, since the GI of Palm Sugar is Low ! All the above advantage makes it more than a Natural Bournvita in terms of taste, Color and nutrition ! Read how Palm Sugar Powder can be your child’s natural health drink when given with plain milk or Soy milk ! Read More..